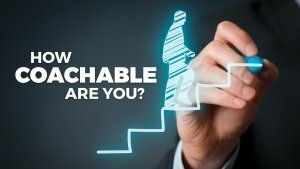 Is your client coach able? Is the client willing to accept change (apply). Willingness to change can be summed up in one sentence: What are you willing to give up or do differently in order to put this new information to work in your life? If you want things in your life to change, you are going to have to change things in your life. Einstein said “the definition of insanity is doing the same thing over and over while expecting a different result. There are many people who are willing to learn, but are unwilling to apply what they learned. They may “learn” concepts, but they will never “do”, therefore they will never see results! When CI is high people soak things up like a sponge. But what happens if the sponge gets saturated? Overwhelm occurs and CI falls. Overwhelm causes us to no longer use or apply the information. So making sure we are not bombarding clients with too much is important to. Clients need time to apply what they have learned, in order to create results. So as a coach you will fall into the information-action gap, and if they spend money to hire you, the client wants RESULTS! So I make sure my clients have BOTH a high willingness to learn and a high willingness to accept (and create) change to assure “we” deliver the result they want. They must “do” to create results or change! You may even want to ask yourself (or them): Are you in a mindset where you are willing to learn? And are you willing to do whatever it takes -even if it makes you uncomfortable? Where do you fall on the Coach-ability index scale and what steps can you take right now to raise your CI?